"The North” Vs The Major West: In which direction are talks with North Korea heading? While the world in today’s time is divided into three major segments when it comes to any topic of discussion (for, skeptical and against), one thing which we collectively bring our beliefs, thoughts, and emotion is the suffering of the people of North Korea. Stripped off of the most basic necessities of life for centuries, one could only imagine what follows next. With delegates from both countries in talks since the past three months, it is still difficult to predict where the overall decision is heading because of the lack of the key elements of ‘Trust’, whoever gives in at to the others needs at this stage will be a morale booster for the country. While the United States emphasizes on a complete De-Nuclearization first, the Hermit Kingdom is bent on getting an ease of its overall sanctions and embargoes. 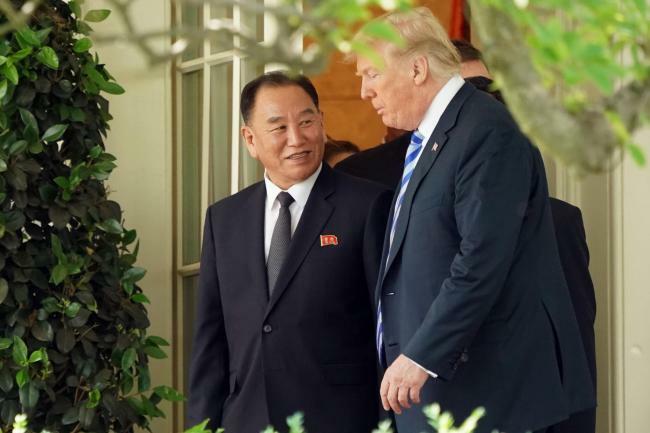 With North Korea’s Minister of Foreign affairs Ri Yong Ho stating that there is ‘No Way,’ they would go for De-Nuclearization if the United States continued pushing for tougher sanctions at the United Nations General Assembly held on the 25th of September/2018. With North Korea claiming to not take a further action leading to De-Nuclearization, with one Nuclear test site already being dismantled at their end, the US continues to emphasize on further issues only after complete De-Nuclearization has been done, it is clear that there is a lack of trust at both ends. It is clear the North will not let it’s complete guard down until it has developed some sort of trust in the United States and the United States will not ease sanctions till the North gives in completely due to previous experiences, it is tough to see who has the ball in their court at this moment. Mike Pompeo the US Secretary to State is flying out to North Korea next month to discuss further details pertaining to the North’s weapons program and for a possible second summit between President Donald Trump and Leader Kim Jong Un, but developing trust needs to be the first and foremost thing to get things moving in such a tense environment. The talks at both ends seemed positive till now building up to the United Nations General Assembly only for things to seem a bit shaky when there was an exchange of beliefs from delegates of both countries, while Mike Pompeo claims that the United States wishes for the best of North Korea but it wants a concrete and verified commitment of De-Nuclearization till then continued sanctions would be the way of America to deal with them, Ri claims that the concern of the UN Council which voted in favor of sanctions against North Korea is a “Very concerning stand” but the country’s first step towards disassembling its Nuclear site should be appreciated and rather well rewarded through a slight ease of sanctions. Mr. Ri also went on to claim that “The United States should be mistrusted more than North Korea as it too has it’s own Nuclear Arsenal and is, in fact, the only country to have used nuclear weapons in war”. While some critics claim an ‘equal reciprocation’ would be a good start from the end of the United States, others think it is only good if North Korea and it’s regime let go of its weapons completely for the betterment of its citizens and the world. North Korea not only demands to ease sanctions but also to put an end to the Korean War (1950-53) on which they have a mutual agreement with South Korean president Moon Jae-In. The initial steps taken by North Korea have been scrutinized by many, but have earned the likings of countries like Russia and China who feel the same should be well rewarded. However, Washington clearly looks at the bigger picture and feels the only way to put an end to nuclear program is through choking the North through numerous sanctions which not only are focused on giving a massive financial blow to its nuclear program but also other economic sanctions, with basic help in terms of flood reliefs and other related things to be provided for. It is clear that America’s long-term policy for everlasting peace is clearly different from North Korea standpoint viewing the non-easing of sanctions as ‘Hostile Policy’ and claiming that the UN General Assembly views the final decision not from a general standpoint but from the stand Point of the United States. Read More: Halloween is going to open big at the US Box-Office!